dead leaves of Gum Trees ( Eucalyptus species, MYRTACEAE ). 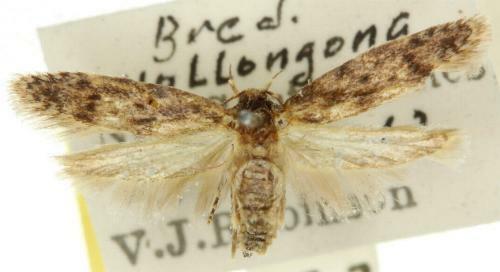 The adult moths are brown with dark marks around the margin, and two broken dark diagonal stripes across each forewing. Melbourne University Press, 1990, p. 251.